In fact in versions of the petrifaction tale from earlier in the nineteenth century it is not a witch but a ‘magician’ who turns the King and his army to stone. The witch element at Rollright seems to have become popular due to the fact that the village of Long Compton and the surrounding area had a reputation for witchcraft in the 19th century, though the region does not seem to have been noted for its witches during the witchcraft persecutions of the 16th and 17th centuries. In September 1875, an old woman of Long Compton named Anne Turner was stabbed to death with a pitchfork by a feebleminded agricultural laborer called James Haywood, who believed her to be the head of a local witch coven who had cursed him. The local belief in witches was still strong in 1945, when another murder occurred, this time on Meon Hill, near Lower Quinton, a few miles to the north west of Rollright. On Valentines Day a hedger named Charles Walton was found pinned to the ground with a hayfork, with a cross carved into his chest and neck. The murder was never solved, although some suspected a ritual or ‘witchcraft’ related killing, though no evidence was ever produced for this. 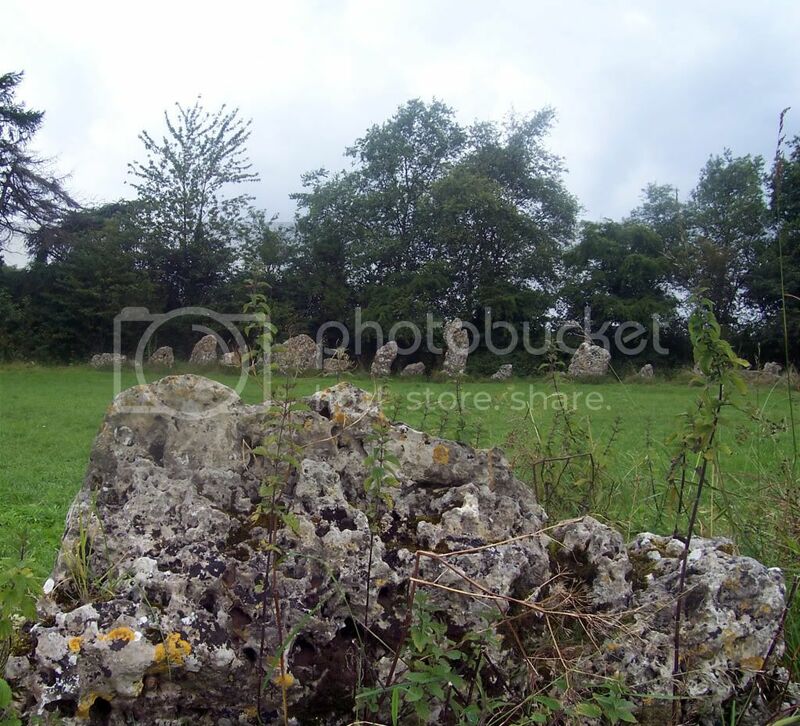 Over the last few decades the Rollright Stones have attracted followers of modern witchcraft, or ‘Wiccans’, as well as other pagan and ritual magic groups who still hold ceremonies within the stone circle today. that a man named Will Hughes from the village of Long Compton, had once seen fairies dancing around the King Stone and described them as “little folk like girls to look at.” Will Hughes’ widow, Betsey (whose mother had apparently been ‘murdered as a witch’), a woman between seventy and eighty years of age when interviewed by Evans, told him that when she was a little girl working in the hedgerows there was a gap in the bank close to the King Stone, from where fairies emerged to dance at night. Betsey and her friends had often placed a flat stone over the hole in the evening to keep the fairies in, only to find it turned over the next morning. The folklore of the Rollright Stones contains three of the standard motifs connected with megalithic monuments. The first is that whoever removes a stone from the site will suffer the consequences, well illustrated by the tale of the farmer who took away the capstone of the Whispering Knights to act as a bridge across the brook at Little Rollright. After an exhausting ordeal using ‘a score of horses’ to drag the stone down to the brook, the farmer and his helpers laid it across to form the bridge. But every morning the stone was found lying in the grass having somehow turned over in the night. Deciding that the stone was more trouble than it was worth the farmer managed to return it using only a single horse to pull it up the hill. Another common element in megalithic folklore is the idea that it is impossible to accurately count the number of stones at a site. There is a story from Rollright about a baker who placed a loaf of bread on every stone in order to count them correctly but no matter how he laid them out he always found one stone without a loaf at the end. The third motif connected with megaliths is that of ‘drinking stones’. It is said that the King Stone and the Whispering Knights go down the hill at midnight to drink from a spring in Little Rollright Spinney. The Banbury Stone, Worcestershire, the Whetstone at Kington in Herefordshire, and the Hoarstone at Enstone in Oxfordshire are other examples of ‘drinking stones’. 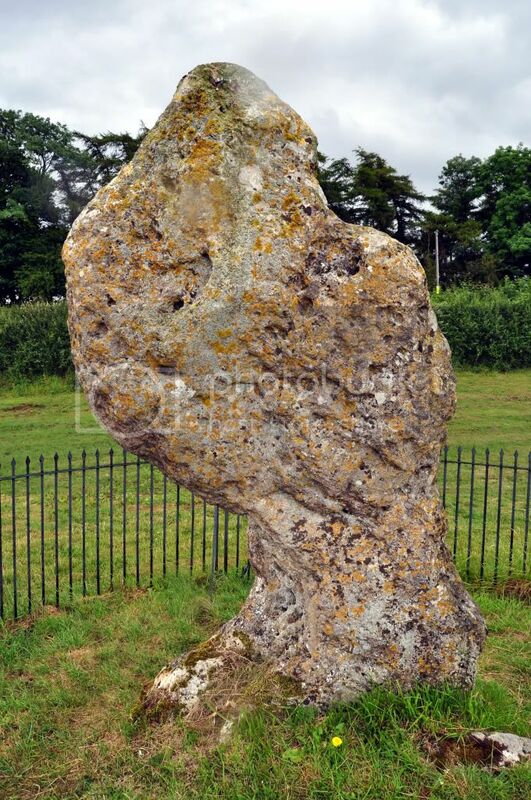 Unfortunately the recent history of the Rollright Stones, now owned by the Rollright Trust, has been far from pleasant. Over the past few years the stones have been repeatedly vandalized. In March 2004 many of the Kings Men were daubed in yellow paint, whilst on March 23, 2006, the warden’s hut at the site was broken into and burnt to the ground. The latest act of mindless vandalism occurred in September 2007, when the monument plaque at the King Stone was wrenched off the railings and broken, and the information board daubed in graffiti. More seriously, a tyre was forced over one of the stones in the King’s Men circle, filled with wood and set alight, blackening a large part of the stone and causing cracks to appear around its circumference. What provokes such moronic acts is unclear, but George Lambrick, chairman of the Rollright Trust charity, has said that they are now considering “installing some kind of CCTV system here to deter further attacks”. Such action may indeed be necessary if we are to preserve what is left of the ancient ritual landscape at Rollright before it is too late. Burl, Aubrey. Rites of the Gods. London, J.M. Dent & Sons. 1981. Burl, Aubrey. A Guide to the Stone Circles of Britain, Ireland and Brittany. New Haven and London, Yale University Press. 2005. Evans, Arthur J. ‘The Rollright Stones and Their Folk-Lore’. Folklore, Vol. 6, No. 1. (Mar., 1895), pp. 6-53. Grinsell, L. V. The Folklore of Prehistoric Sites in Britain. Newton Abbot, Devon, David & Charles. 1976. Lambrick, George. The Rollright Stones. Oxford, Oxford Archaeological Unit. 1983. Manning, Percy. ‘Stray Notes on Oxfordshire Folklore’. Folklore, Vol. 13, No. 3. (Sep. 29, 1902), pp. 288-295. Westwood, Jennifer. ‘The Rollright Stones. Part I: The Danes’, 3rd Stone, No.38, (Summer 2000), pp6-10. Westwood, Jennifer. ‘The Rollright Stones. Part 2: The Witch’, 3rd Stone, No.39, (Winter 2000/2001), pp62-66. Wright, Thomas. ‘Legend of the Rollright Stones’. The Folk-Lore Record, Vol. 2. (1879), pp. 177-179.
http://www.pauldevereux.co.uk/new/body_dragonproject.html – The Dragon Project. Powered by WordPress v 4.9.10. Page in 0.197 seconds.